The model started with the DKW Junior. This was a small front wheel drive saloon manufactured by Auto Union AG. 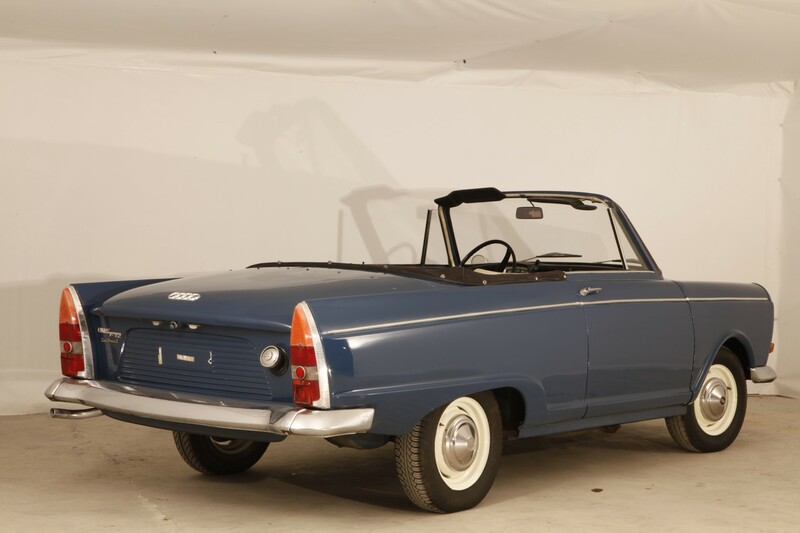 The “Junior” name was given to the (up to then) DKW 750 in 1959, the car went into volume production and in January of 1963 became known as the DKW F12. In addition to the saloon, a pretty ‘F12 Roadster’ (cabriolet version) was produced in limited numbers. This special model was equipped with a very rare ‘Saxomat’ transmission system which allowed for, without the existence of a clutch pedal, the change of any gear at the will of the driver. As a result, it made up for a unique driving experience! This specific car was acquired by the Museum through a dealer in Great Britain and is preserved.